To turn the compass on or off, press the button. 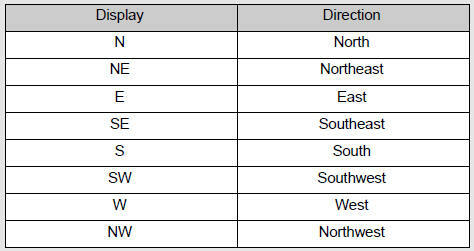 The direction display deviates from the true direction determined by the earth’s magnetic field. 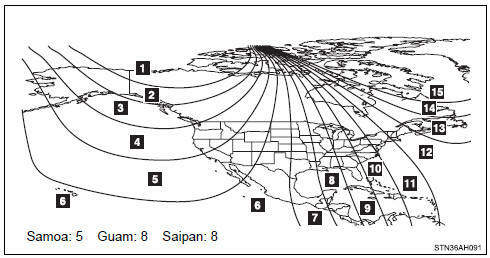 The amount of deviation varies depending on the geographic position of the vehicle. If you cross over one of the map boundaries shown in the illustration, the compass will deviate. To obtain higher precision or perfect calibration, refer to “Deviation calibration”. Stop the vehicle where it is safe to drive in a circle. Press the button until a number (1 to 15) appears on the compass display. Press the button, and referring to the map above, select the number of the zone where you are. If the direction is displayed several seconds after adjustment, the calibration is complete. When “C” appears on the display, drive the vehicle at 5 mph (8 km/h) or less in a circle until a direction is displayed. 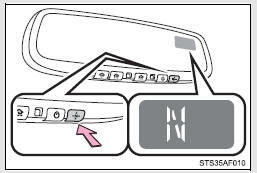 The compass may not show the correct direction in the following conditions: ●The vehicle is stopped immediately after turning. ●The vehicle is on an inclined surface. ●The vehicle is in a place where the earth’s magnetic field is subject to interference by artificial magnetic fields (underground car park/parking lot, under a steel tower, between buildings, roof car park/parking lot, near an intersection, near a large vehicle, etc.). ●The vehicle has become magnetized. (There is a magnet or metal object near the inside rear view mirror.) ●The battery has been disconnected. Do not adjust the display. 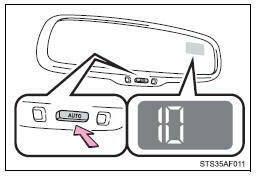 Adjust the display only when the vehicle is stopped. Secure a wide space, and watch out for people and vehicles in the vicinity. Do not violate any local traffic rules while performing circling calibration. Doing this may cause the compass sensor to malfunction. ●Do not perform a circling calibration of the compass in a place where the earth’s magnetic field is subject to interference by artificial magnetic fields. ●During calibration, do not operate electric systems (power windows, etc.) as they may interfere with the calibration.